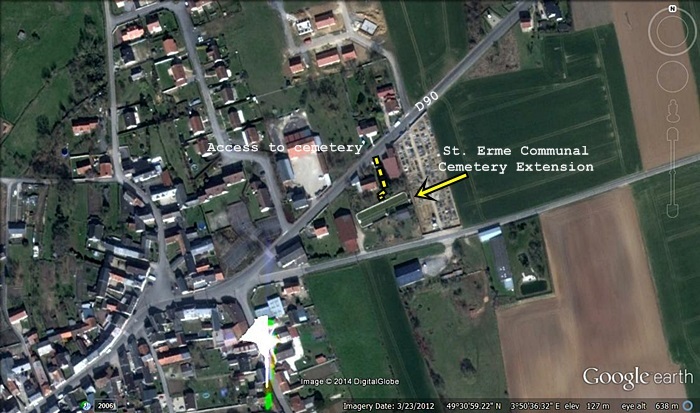 The military cemetery is an extension of the local communal cemetery of the village of St Erme, which is situated 15 kilometres south-east of Laon and 30 kilometres north-north-west of the town of Reims. From Junction 13 (Laon) of the A26-E17 motorway, head south on the N2 Laon ring road for 4 kilometres, then turn left on to the Reims road (N44). After 11 kilometres along this road, turn left on to the D90, signposted for St. Erme. 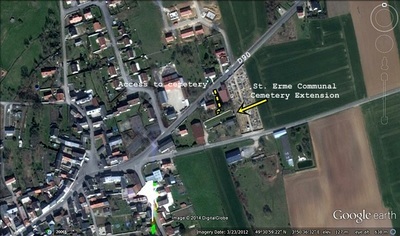 On reaching St. Erme, at the T-junction turn left in the direction of Ramecourt, then at the next junction take the second exit marked 'Toutes Directions' and 500 metres along this road you will see a CWGC cemetery direction sign on the left side of the road facing a small stone entrance to the right side of the road. This is the start of a 30 metre pathway leading to this concealed cemetery. 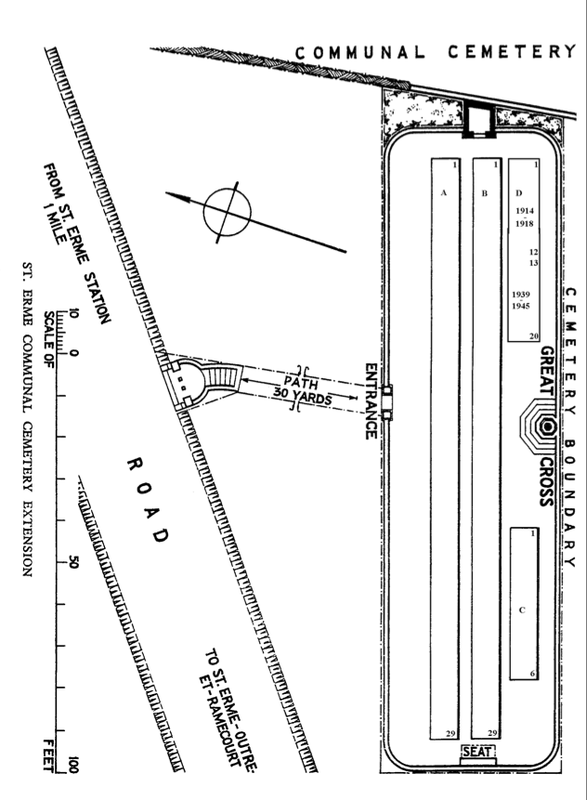 A German Extension was made on its West side, but was removed after the Armistice. 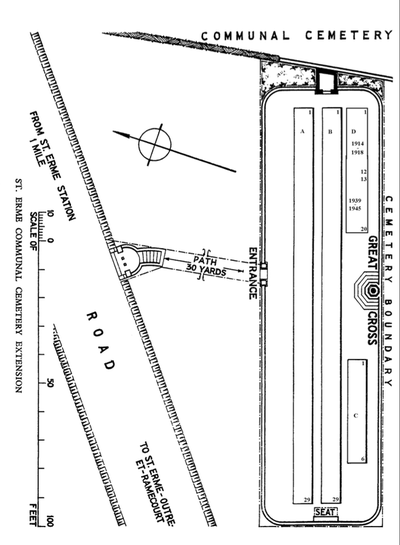 The Commonwealth Extension was made between the Armistice and the removal of the German Extension. 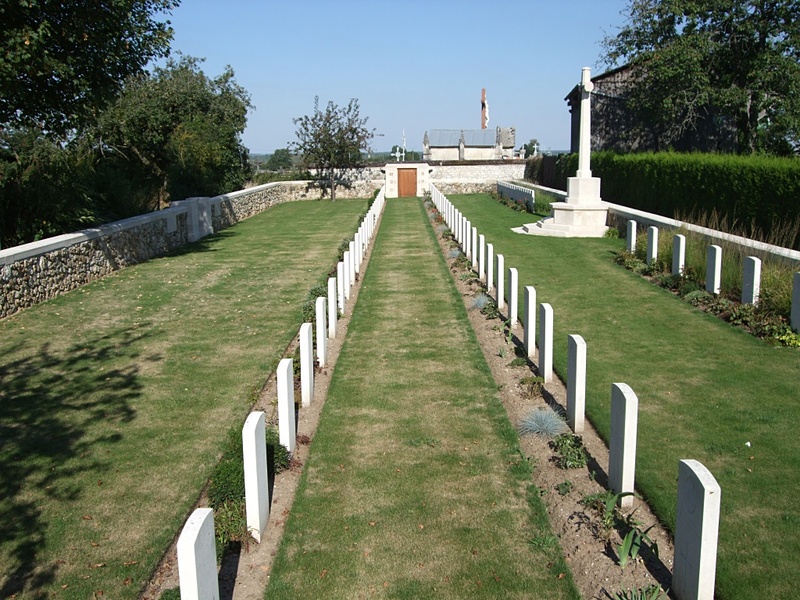 In 1938, 12 soldiers were moved to this Cemetery from isolated graves. 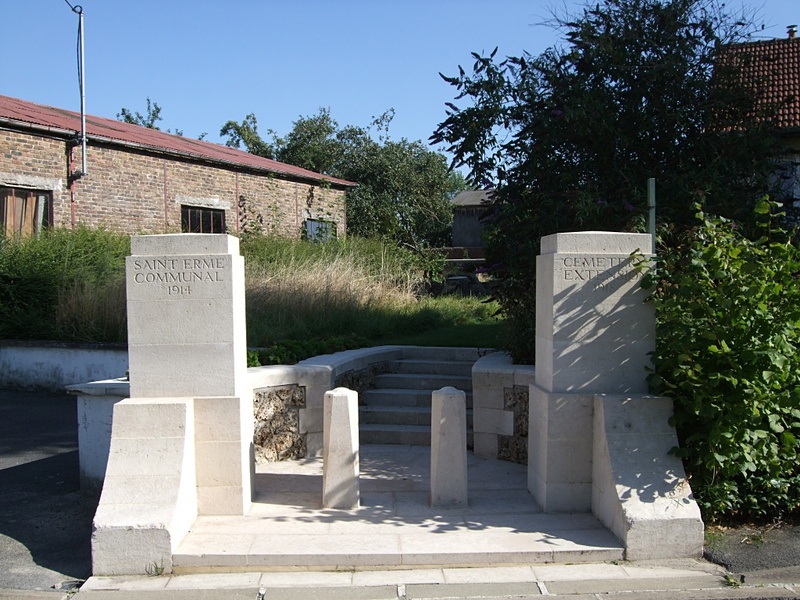 There are 76 Commonwealth burials of the 1914-18 war, 7 of which are unidentified and 8 of the 1939-1945 war, commemorated in this site. 36 from the 1914-18 War were orginally buried in RAMECOURT COMMUNAL CEMETERY. Many of the graves, identified collectively but not individually, are marked by headstones bearing the superscription "Buried near this spot." The Extension covers an area of 635 square metres and is enclosed by a rubble wall. 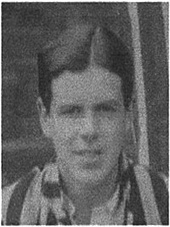 9th November 1918, aged 19.